With manual download of the Digital Tachograph wasting up to 2 man days per vehicle per year it is time to embrace unattended vehicle downloads. The digiDL removes the headache of collecting Vehicle Unit and Driver Card Tachograph data manually. It does this at a low cost and in the most efficient way possible. With digiDL your data can be imported directly to your OPTAC3 Web account. If you have a different analysis product then your data can be downloaded to your PC using the ArchiveSync software and then imported to your analysis software. This Remote Download solution allows you to hold the Company Card(s) in your office. The card is placed permanently in a card reader on any PC which has a connection to the Internet. 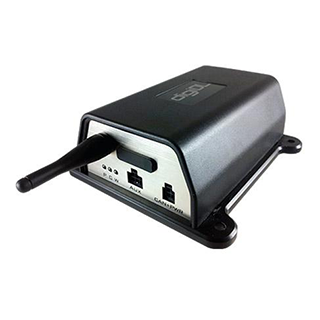 The digiDL uses a GPRS connection (data SIM card) to reach the Internet to communicate to both the digiCentral server and your Company Card(s). The Company Card authenticates as if it were in the vehicle. digiDL can then perform a download and passes the file(s) to a nominated location via the GPRS network.